Last night I gave a talk in our “intro to grad studies” course. I was invited to talk about my work, and to introduce our first-semester graduate students to the concept of media archaeology. I also snuck in a few exhortations regarding the fashions and politics of theory. Last Wednesday morning I went to a symposium at Brooklyn Poly, recently renamed the NYU Tandon School of Engineering – yet another reminder that all things can be bought at the right price by people who like to put their names on things. We, an audience of several hundred with a male-to-female ratio of probably 9-to-1, were there to talk about  the “Coming Age of the Internet of Things” – a title that seemed, to many attendees, to prophesy a utopic block-chained future of exhaustive datasets and bounteous apps and proliferating platforms. For me, it read more as a threat. Our keynote, Vint Cert, one of the “fathers of the Internet” – and currently vice president and Chief Internet Evangelist at Google – did little to allay my skepticism. He talked about the app through which he can regulate the climatic conditions in his wine cellar back at home, and the RFID tags attached to those precious bottles of vino that allow him to constantly manage his inventory – just in case an unscrupulous house guest, or the help, decides to sneak a bottle. Ah, Silicon Valley: applying genius and capital to solving the world’s most pressing problems. His two interlocutors during the discussion period – Deborah Estrin from Cornell Tech and Beth Noveck from NYU/Tandon – spoke of their own, equally socially-engaged work with health data and open governance. And all three conversants emphasized the challenges of ensuring security. Yet “security” seemed to hold pretty disparate meanings for the several-hundred folks in that room. To some, it meant the integrity of the network itself – whether or not to allow for individual users to self-configure their devices and apps, for instance – or it was about controlling access. For others, particularly those concerned with health data, security meant user privacy. But mostly, really, it was about the network itself, that reified entity called the Internet of Things. Much attention was paid to the need to regularize its “chaotic” sets of standards, tame the massive number of devices that want to connect to it, protect it from the people and things clamoring for its attention. The whole conversation, with its seeming lack of criticality, reminded me of another conversation I had almost exactly a year ago. I moderated a discussion at the “City by the Numbers” conference at Pratt last October. Our panel – composed of Constantine Kontokosta from NYU’s Center for Urban Science + Progress; Colin Harrison from Urban Systems Collaborative; Laura Kurgan from Columbia’s Spatial Information Design Lab; and Jessie Braden from Pratt’s Spatial Analysis and Visualization Initiative – was asked to address the question: “Big Data = Better City?” Even though there were some “smart city” evangelists and/or proponents among us, we ultimately “problematized” the fetishization of big data; critiqued the presumption that a city is reducible to numbers; questioned the methodologies of statistical analysis and data visualization as they’re sometimes used in urban planning and urban governance. And after what was, in my judgment, a fantastic 90-minute discussion, the first audience question we got was:  “What’s the best place to get a complete data set?” In other words, where can I find the unicorn of perfect, exhaustive, clean data that enables my computers to spit out perfect decisions, thereby enabling us – and our robots – to build a perfect city where everyone lives perfectly in accordance with the almighty governing algorithm? For you, graduate students in media studies and design, I’m assuming (safely, I hope) that terms and concepts like cognitive computing, urban sentience, responsive architecture, data-driven sustainability, and the Internet of Things are familiar. Maybe they’re even central to your work. But it’s not just in the labs and design studios and deal rooms where such terms are bandied about: these “cloudy” neologisms and portmanteaus float around the popular, general-interest press with pretty great regularity, too. We’re supposedly living in a new age – the age of the anthropocene; an age of planetary urbanism; an age in which unwritten or unspoken zones and standards and rules – what Keller Easterling calls “extrastatecraft” – “encode” our international relations; an age in which machines communicate with one another just as much as, if not more than, we humans communicate with them or amongst ourselves; an age in which those intelligent objects are posing hard questions about labor and equity and epistemology and other core humanistic values. Yet the discussions like those I mentioned earlier – and those I see chronicled on the pages of the business sections of the Times and the Wall Street Journal (and it is in the business section where a lot of this discussion takes place) – tend not to question the logic or ethic of these technological developments. They rarely ask why? They tend not to see the absurdity of creating more technology to solve technological problems, or of “app-ifying” and widgetizing the “key performance indicators” that really matter. But what really matters, and to whom? What problem is solved here? Is it that turning a doorknob is a burden? Is it a question of making doorknobs less vulnerable to burglars? Is it simply a matter of celebrating our own technological genius? This man who was by no means a designer, and who wasn’t a huge fan of aesthetic variety or innovation – he went to same place down near Washington Square for lunch pretty much every day for decades – posed some questions that would certainly stump a lot of contemporary designers and technologists. He reminds us to ask about purpose, ethics, politics. And history. He reminded us that our media, our technology, our designed objects and landscapes all embody values – and those values are shaped by a very deep history. Even the newest, shiniest object has a history – however much the marketing rhetoric of innovation and disruption wants us to forget that past. I wanted these critical frameworks – of ethics, politics, and history – to guide a conversation I organized and hosted two weeks ago in the Media Design Practices Program at ArtCenter College of Design in Pasadena. We began with the premise that, as we shape our landscapes, erect our buildings, build our institutions, and develop our technological networks, we impose upon them, or embed within them, intelligences and protocols. We build our terrains of dirt and data, and as an either intentional or accidental consequence, they embody their own operative logics. These have also been major themes in my own work: I’ve explored smart cities and urban interfaces and pedagogies that help us make sense of contemporary infrastructures. But an even longer thread of my research has focused on much older forms of spatialized intelligence, old-school “code spaces,” like libraries and archives, and the logistical systems that, for hundreds and even thousands of years, have allowed them distribute and cultivate intelligence and, dare I say it?, democracy. I also look at the intellectual infrastructures – the record-keeping and filing systems and storage devices, the analog “operating systems” – behind our knowledge institutions and our cities and our larger infrastructural networks. And I argue that we need to escape the self-satisfying stories we tell ourselves about “innovation” and instead acknowledge the longue durée, the deep time, of urban mediation. Even without their datified dressings, our landscapes and architectures have long been shaped using techniques and technologies that render them “intelligent” and intelligible – either to we humans who inhabit them, or to the various tools we use to cultivate, navigate, and operationalize them. Our cites have always been mediated. They’ve never not been “smart.” Clay and code, dirt and data – or, in the language of one of the key themes of your course, the “natural” and the “artificial” – have always intermingled. For our symposium at ArtCenter, we gathered together urbanists, architects, technologists, designers of other stripes, artists, lawyers, criminologists, and historians to serve a particular methodological purpose: through the diversity of their professional work and critical perspectives, we read across various indexical landscapes – from city governments to transit and telecom networks, from stockyards to criminal geographies, from regulated airspaces to urban zoning — so we could identify and question the pervasive logics and values that inform how we’re designing, building, and stewarding our world. We started off with architect Jesse LeCavalier, who spoke about logistics and supply chains and geography as something that has to be rendered calculable and optimizable. Then Lorie Velard, a police department GIS specialist, discussed her work with crime data; she spoke of a similar “rationalization” of the landscape, but for a different kind of logistics. Then former military intelligence specialist and artist Richard Wheeler shared his own photographic work, which highlights those areas most and least frequently “indexed” by satellites , and those “natural” areas “codified” by National Parks administrators and forestry aestheticians  as either aesthetically appealing “foreground” or scrub that should be “landscaped” into the background. After that,  lawyer and public policy expert Mark Vallianatos spoke about Los Angeles’s fascinating history, through 50s and 60s, as a proto-smart city  and his current work on the re:code LA re-zoning project. Then art historian Jason Weems contextualized our current drone-vision fascination by addressing the history of the aerial view and the calculus of industrialized agricultural landscapes in Chicago’s notorious stockyards. Finally, urban historian Emily Bills discussed Los Angeles’s long history as a landscape shaped not only by the car, as the prevailing urban theories propose, but by the spread of its  home-grown telephone infrastructures in the late 19th and early 20th centuries. What became very apparent to us – and what, I imagine, is quite prevalent in your own practice – is the use of mapping as key diagnostic and design tool. In criminology and planning and design research we often rely on maps to find patterns, to substantiate hunches, to locate opportunities, to trace historical trends –  and to project into, and potentially even reroute, the future. In my own “Maps as Media” graduate course this semester, we look at the history, politics, epistemologies, aesthetics, poetics, rhetorics, techniques, and technologies of mapping. We question our contemporary cartographic fetish – our compulsion to map everything, simply because we can – and we wonder what we’re really “indexing” when we translate topographies and topologies into flattened representations. ArtCenter and Parsons are both great venues to explore these issues of “indexed landscapes.” Students and faculty, both there and here, are the ones who’ll be designing the landscapes, infrastructures, furnishings, linked objects, networked systems, and interfaces that embody the values that define our brave new world. A brave new world that – I’ll say again – seems all too infrequently to question what ideologies it embodies, and that often forgets to look at what’s left behind in its blind pursuit of innovation and efficiency. What’s left behind is not always a history that should be erased (like an ex-boyfriend). One of my goals in organizing the symposium at ArtCenter was to historicize our supposedly novel, “innovative,” “disruptive” techno-spatial networks. Historicizing the “new” is critical — and not only because it’s always fun to deflate Silicon Valley’s inflated claims of novelty and “disruption.” History is always instructive – and particularly given that the embeddedness and large-scale integration and conventional covertness of our techno-social systems render them really difficult, if not impossible, to renovate or rewire. What came before shapes the path of what follows. Rarely do we build new worlds tabula rasa. I recognize that most of you are more probably more interesting in thinking about and design for this century. But our presentist and futurist approaches to design – as evidenced in the myopia of our smart cities and “cities in a box” and our Internet of Things – don’t promise to serve us terribly well. These blinkered approaches tend, more often than not, as I see it, to promote hubristic approaches to design enamored with their own novelty (and cultural criticism and theory that overstate the newness of the new). So, in the remainder of my time,  I want to focus a how I, in my own work, and how you, in your own work, can better appreciate the richness and diversity and fascinating histories of smartness and newness. I’ve written a bit in this area, and I’ve been a reviewer or “blurber” for a couple of the key books in the field. A few years ago, when I was teaching a class on “Urban Media Archaeology” here in Media Studies,  I put together for my students a “crib sheet” that distills some of the key tenets and sensibilities and methodologies from some of the “father figures” – and I do stress father figures – in the field. I’ll review that sheet with you in a minute – but before I do so, I want to share an anecdote and offer a caveat – a rather long-winded one, I’m afraid: For several of the past few weeks, I’ve joined you on Monday nights for some of your guest lectures. I’ve stood in the back – in part because I knew I’d have to duck out before the Q&A,  but also because I love scanning the sea of screens – with all their hilarious and sad and incriminating contents – from the back of a lecture hall. While some of you are looking up information about the presenters and tracking down references they make in their talks, my highly unscientific survey tells me that a sizable minority is interested in  fashion and the Kardashians. Oh, and shopping for scarves seems to be really big, too. And I’m amazed by how many text threads you can manage simultaneously! My hat is off to you – and I don’t even wear a hat. Why is this relevant? Because theory is subject to the whims of fashion, too. It’s made by taste-makers; it reflects the cultural milieu and captures certain sparks in the zeitgeist; it’s often “gated” and made exclusive because it’s a form of “intellectual property” and cultural capital;  and, in many cases, it’s a commodity composed of some notable substance, wrapped up in effective branding and the personas that choose to embody those brands. Graduate students, who tend to be one of the primary audiences for and enthusiastic champions of, capital-T theory tend to try to keep “on trend.” It can be exhausting. I want to encourage you, as you determine how to allocate your mental energies – or, to echo Malcolm from last week, where and when to open up your attention to new ideas – to consider the politics of theory. I’m not talking about Marxism or theories about how politics work, but the politics of how theory gets made and circulated and taken up. Think about who, in a particular theoretical circle, gets a voice –  and what institutional politics or cultural dynamics might allow some people to speak more loudly than others. Do an Orwellian analysis of their discourse. Think about the political economy through which ideas are circulated and catch on – and then watch the brand spread out into myriad venues: master-classes, keynote talks, themed conferences, edited collections,  trading cards, leather jackets (this, funnily enough, is the title of Media Studies faculty member Eugene Thacker’s recent books, gone viral). And here I’m quoting myself from a couple blog posts I did a few years ago: You just might find, as I have, that the liberal conceptions of “labor” and “knowledge” that many of our new theory movements actually embody sometimes fail to match up with their professed politics. We’re so frequently advocating for more democratic, fluid, inclusive models of making and thinking in the world — yet the theories we’re building to make sense of these new modes are still built via “Great Man” modes of production. I want to suggest that, rather than deifying the Theoretical Gods or the Taste-Makers, assuming that they possess some greater truth that we must adopt wholesale — and warping our conception of the world so as adhere to that “truth” (i.e., so one can do a “Hegelian reading” of existence) — let’s recognize the theory and the theorists for what they are. They’re models to help us make sense of things, frameworks to help us ask questions – and while the thinkers who generate those models are often brilliant, they’re also fallible and often highly hubristic guides (who are sometimes horrible writers). And they’re often women… and practitioners… and more often than not, groups of people who develop their ideas collaboratively, over time, through processes that likely won’t bring glory to any one of them or to any dynamic duos (e.g., Deleuze & Guattari, Hardt & Negri, Adorno & Horkheimer). Theory with a little ‘t,’ like knowledge itself, erupts not from the heads of Gods, but from collectives comprised of folks whose last names, unlike Derrida’s and Deleuze’s, aren’t likely to become adjectives – Derridean, Deleuzian, Balsamic (that’s a joke just for Anne) — in our everyday academic discourse. And now you’re probably wondering how that sermon – and the preceding fashion forecast – is all relevant to media archaeology, which is all about history and failure and what seems like patently un-cool stuff. It’s because Media Archaeology has also “trended” – or is trending. I’m not sure which. But it’s also important to acknowledge that, just as fashion repeats itself, so does theory. And while fashion – like journalism and other general-interest writing that’s based on the “popularization” of research – isn’t obligated to cite its sources, we in the academy are. Footnotes and parenthetical citations might seem unnecessarily complicated, tedious and torturous – but, however much of a nuisance the formatting might be, I think the protocol represents a beautiful act of generosity: it’s acknowledging and, in a way, thanking those who have inspired you, those who came before you. So, I’d say we need to take the term “media archaeology” at face value, dig into the archaeology of media archaeology itself, and recognize that it’s not new: it’s composed of the spoils of other digs, in other fields, of other epochs, reorganized and given a new label. And there’s nothing wrong with that. That’s essentially how all knowledge is made. While media archaeology is relatively new to the English-speaking world, many of the foundational texts – primarily from the likes of Friedrich Kittler and Siegfried Zielkinski – were published in Germany in the 1980s, and were only recently translated into English (we also had a concurrent thread of new film history, from people like Thomas Elsaesser). But archaeologists-proper, material culture historians, book historians, bibliographers, historians of technology, geologists, artists, and folks in other fields have long espoused ideas and methods that are now packaged as “media archaeology,” long before we used terms like “media archaeology.” I say this not to undermine media archaeology’s valuable contributions to our field – but, rather, to remind us not to reify it and turn it into some doctrine. Furthermore, I see media archaeology as a history-theory enterprise, in which temporal excavation of media functions as a theoretical force as well; a reading of old media and new media in parallel lines. Media archaeology is decisively non-linear, and rigorously theoretical in its media historical interest of knowledge. In a Benjaminian vein, it abandons historicism when by it is meant the idea that the past is given and out there waiting for us to find it; instead, it believes in the radical assembling of history, and histories in the plural, but so that it is not only a subset of cultural historical writing. Instead, media archaeology needs to insist both on the material nature of its enterprise – that media are always articulated in material, also in non-narrative frameworks whether technical media such as phonographs, or algorithmic such as databases and software networks – and that the work of assembling temporal mediations takes place in an increasingly varied and distributed network of institutions, practices and technological platforms. I’ll close by telling you a bit more about my work, and how it either intentionally or accidentally embodies media archaeology’s sensibilities. Keep in mind that I began this work well before such a thing as media archaeology existed – or, at least before we non-German-speakers knew about it – but when it did appear on my radar, I happened to note a resonance. In keeping with the validation of art as a means of thinking through media theory, I’ve written a number of exhibition reviews and essays about archaeological themes – or issues of history and materiality – that tie together different artists’ work. Other exhibition reviews have examined work that resonates between the old and the new. While I have examined urban screen art, interaction design, and interactive architectural exhibitions –  I’ve also examined exhibitions and events celebrating the resurgence of print, “old media,” in architectural culture. …And how we can mediate those senses in other formats – review of 99% Invisible, episodes of which I’ve been using in my classes for years. I examined the “architecture” of the radio show, and explored its parallels to the graphic novel. Another of my primary areas of interest has been infrastructures – particularly how physical infrastructures and intellectual infrastructures reinforce, or fail to support, one another. So I’ve explored, in a number of projects, what we can learn by listening to infrastructure. …And by engaging with infrastructure through myriad senses – and by touring it, mapping it, performing it, making playing cards and audio tours and video games out of it. I’ve examined infrastructures from the scale of the city all the way down to the scale of the interfaces and the data model. And my work on libraries and archives has allowed me to move across these scales, from the macro to the micro. I’ve looked at the aesthetics of digital preservation – and at artwork that takes up these issues – and  at the death of our archival objects. I’ve studied the architecture of library and archival spaces, focusing on particular how they balance their obligations to serve as both media spaces and public spaces. I’ve looked also at tiny libraries, artists’ libraries, pop-up libraries, Occupy libraries;  and mega libraries – off-site storage facilities with millions and millions of books, that serve multiple institutions, and that are run like Amazon fulfillment centers. And all along I’ve tried to attend to the sensory implications of these spaces – with their media in myriad formats. In my Archives/Libraries/Databases class we study the aesthetics, politics, and history of our knowledge institutions – how they collect, classify, and store media. And, again, we look at archive art and database art, and think about what practical lessons aesthetics can provide. 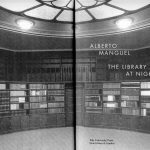 I’ve taken these lessons into my work on various library design projects. Despite what you might think, libraries are an increasingly vital – and well used – resource, particularly in cities characterized by tremendous income disparity and commercialization and a persistent digital divide. And I think that as cities come to embody a corporatized, proprietary, black-boxed form of smartness, libraries – as emblems of openness and access – should play an even more important role. I’ve examined, in a series of articles, the rise of urban intelligence – by focusing on our fetishization of data in urban science; and on how cities and corporations design screens and dashboards to monitor urban data. I’m particularly interested in how the aesthetics of those interfaces embody politics. But I’ve also, over the years, attempted to historicize this “smartness” and its data-based diet by exploring the analog operating system – specifically, the colorful and surprisingly fascinating and fashionable history of filing. And a project I “piloted” last year, and will dig into in earnest during a fellowship in Germany in the spring, I explored the history of media-furniture design – bookshelves, server racks, filing cabinets, and desktops – both analog and virtual. Those furnishings have a deep history; as you can see here, the design of workspaces has been tied to the design of other workplace infrastructures, like pneumatic tubes, which I wrote about several years ago. The tubes are just a conduit to a much deeper dig backward into our mediated spaces. Just this past March I published a tiny book on the history of the media city, and what we can learn about it by mapping it. I’ll continue this work in my current book project – the manuscript of which I hope to finish by the end of this year – on the 6000+-year-history of urban mediation – and what we can learn about it from archaeologists-proper, architectural historians, urban historians, anthropologists, and classicists. A chapter from that book – on the history of mud as both a writing substrate and a building material from the earliest days of urbanization to today – is coming out in the journal Cultural Politics next year. We might seem a long way from the Internet of Things where we began. But we’re really not. While the IoT might not be made of mud, it is still “of the earth” – of silicon and copper and coltran and tantalum and lots of rare earth minerals. And it, like our analog media and building materials, is still subject to weathering and destruction; in fact, it’s much more fragile than those tablets and temples that still route messages to us from thousands of years ago. [115:B] Tracing this history – through media archaeology and archaeology of the Indiana Jones variety – also demonstrates that we’ve always lived in cities where our walls talked to us, or where we could use our columns and statues to talk to one another. Our cities have always been about calculation and communication and indexing things and activities. And while, since the days of Eridu and Uruk, our first cities, we’ve added other construction materials to our repertoire, we’re still making mud into bricks. That old-school construction is still among the most economical, energy-efficient, and sustainable. Our ancestors may not have had smart-phones and sensors, but they – and their bricks – were actually pretty smart designers.